1. Preheat the oven to 275 Fahrenheit for the roast. 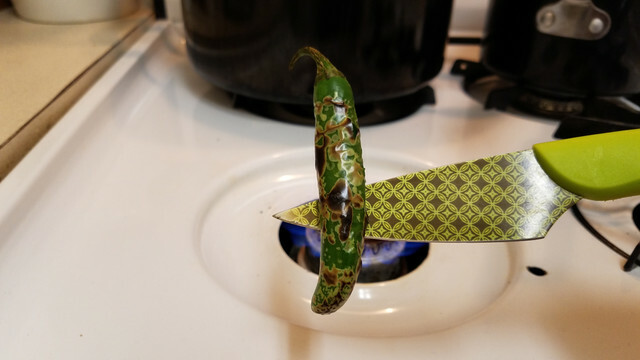 Roast the pepper over a flame, or in the oven, until skin is blistered. 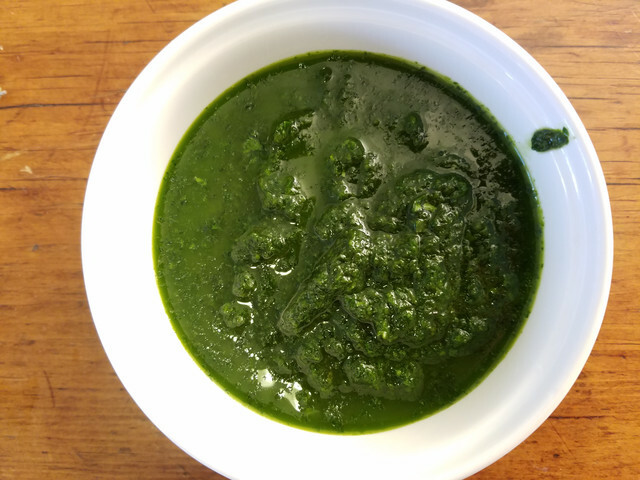 Put all ingredients for Magic Green Sauce, including roasted pepper, except for oilve oil and salt, into a food processor and blend together. When finely chopped, Drizzle olive oil in until the consistency is to your preference. Flavor with salt. 2. 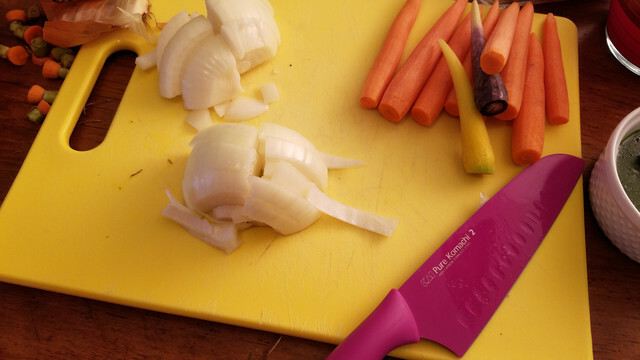 If using, roughly chop onion and carrots to cook with the meat. 4. Season each side of the roast with salt and pepper. 5. 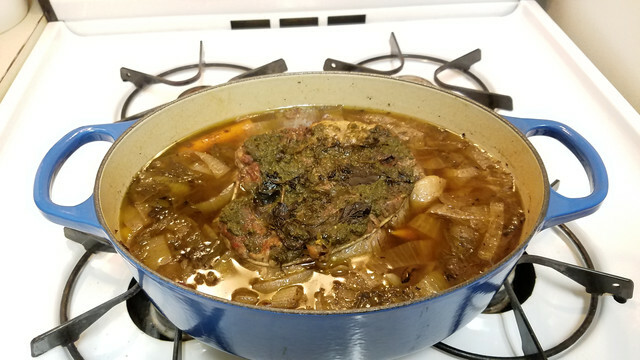 Heat up some olive oil in a dutch oven. Brown the onions, about 3 minutes, and then brown carrots, about 2-3 minutes. Set vegetables aside on a plate. 6. Add more olive oil to the pan and bring up to a very high heat. 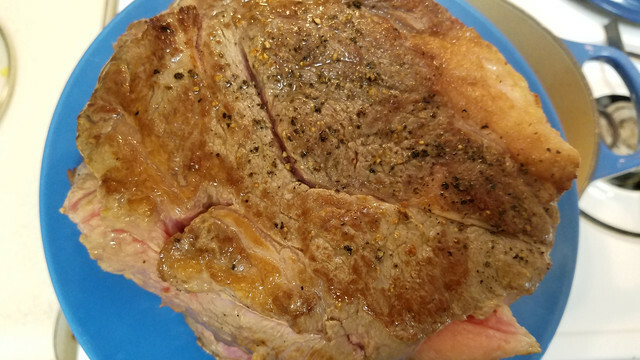 Sear each side of the roast, ~1 minute per side, until nicely browned. Then, set aside on a plate. 7. 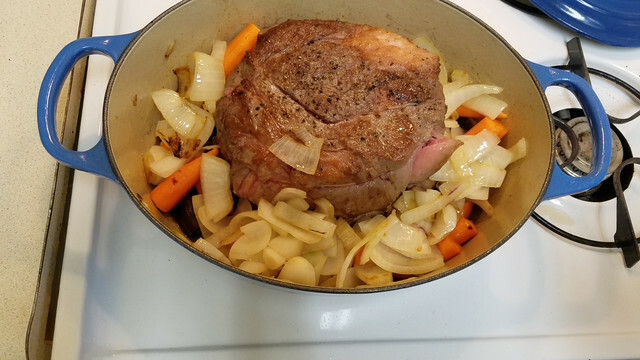 Pour about 1 cup of beef broth into the bottom of the pan, and deglaze the pan with a whisk by vigorously rubbing up all the browned spots left on the bottom of the pan by the vegetables and meat. 8. Put meat back in, and surround with vegetables. 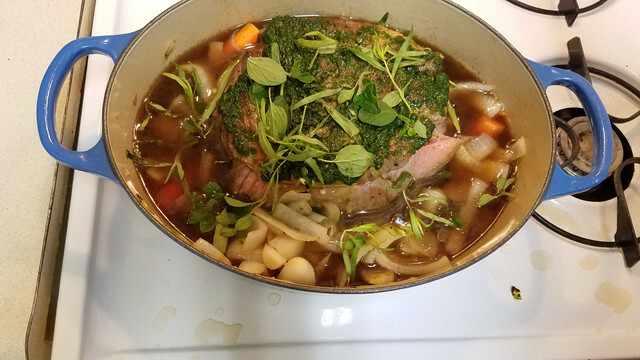 Pour beef stock in until it comes up halfway to the top of the roast. Sprinkle fresh herbs on the vegetables. 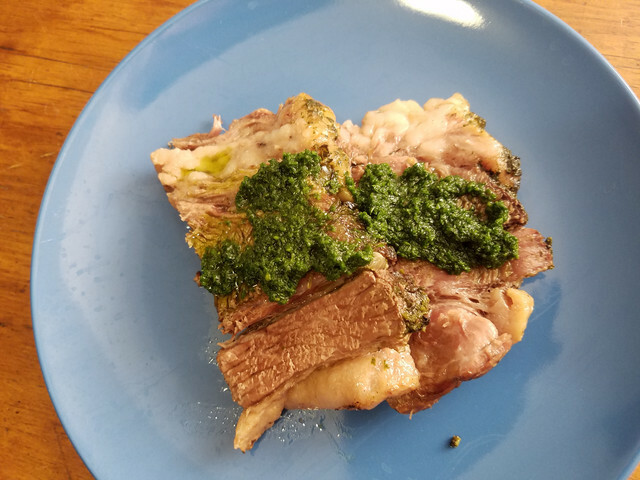 Use the Magic Green Sauce to season the top of the roast. 9. Place in the oven ~3 hours, or until it is tender and falls apart easily when attacked by a fork. 10. Remove from pan, and cut into slices. Garnish with more Magic Green Sauce. And now it’s done! !